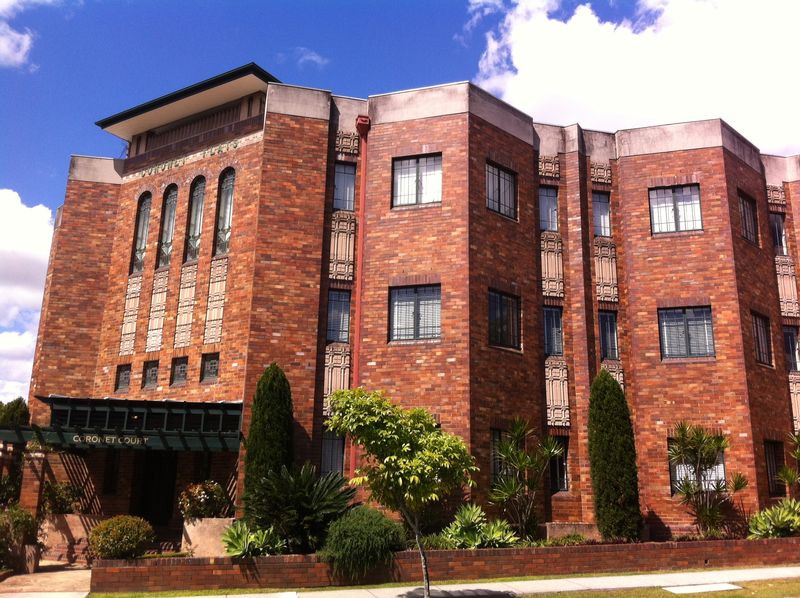 Home › Architecture › Was the Depression good for Queensland Art Deco? The question posed in the title of this article is deliberately provocative. It goes against the grain of common sense to imagine that the material hardship experienced in Depression-era Queensland could have led to anything other than stagnation and decline. But the picture is a more complex one. 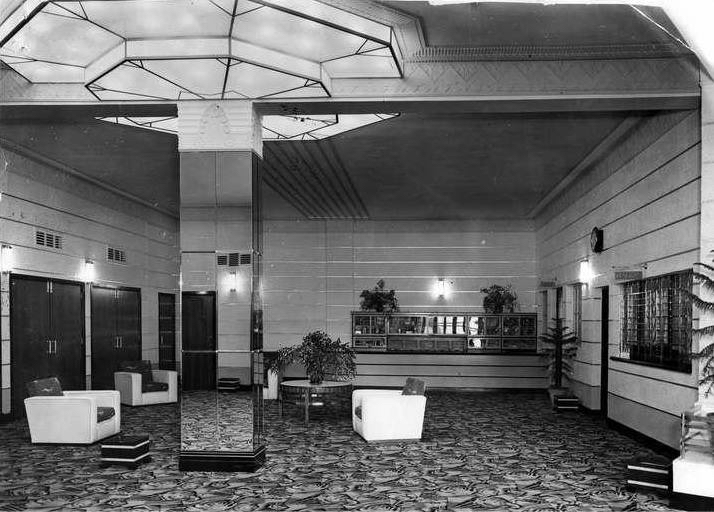 While the personal and community suffering spawned by economic downturn in the 1930s is well established, in this article we follow a different line of enquiry to look at some of the ways Depression circumstances contributed to the spread of Art Deco in Queensland. By 1931, two years after the Great Depression had struck Wall Street and cascaded across the western world, 30% of Queensland’s workforce was unemployed. Men travelled the countryside in pursuit of temporary work, people queued for sustenance payments, and families lost their homes and possessions. In that same year the Brisbane Courier reported a troubling picture for the local building industry, with a decline in the number of civic works and private residences. While Queensland did not suffer as much as some of the bigger industrialised economies, the state was at a standstill in those opening years of the decade. It took the installation of a new premier to steer Queensland on a different economic course. Unlike other states which saw a litany of Labor Governments fall during the Depression years, in June 1932 Queensland voted out the Country and Progressive National Party, paving the way for Labor leader William Forgan Smith to assume the premiership. This heralded a seismic shift in state policy aimed at ameliorating Depression hardships: investment in ambitious public works programs that stimulated employment became a cornerstone of the Forgan Smith Government. The Unemployment Relief Work Scheme and major constructions managed by the Bureau of Industry saw architects, builders and labourers employed on productive projects. By the late 1930s Queensland’s economic performance was showing signs of uplift which in part was credited to Forgan Smith’s public works scheme. To understand what a bold move this was, it must be remembered that Keynesian economics had not yet entered mainstream thinking. The foundation of Depression-era economic policy was the Premiers’ Plan, signed by federal and state governments in 1931. The plan represented a conservative, deflationary response to economic crisis, with priority given to balancing budgets, repaying foreign debts and reducing government expenditure. 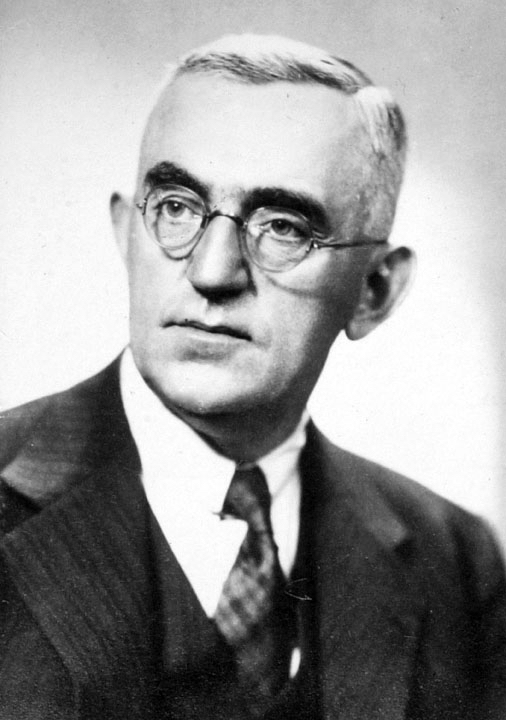 Attending his first Premiers’ Conference just two weeks after being elected in 1932, Forgan Smith spoke assertively against the Premiers’ Plan and spearheaded a motion that balanced fiscal restraint with a parallel commitment to the revival of industry. This gave Forgan Smith the mandate he needed to put into action his radical ideas for restoring employment through public expenditure. Forgan Smith’s employment relief plan saw town halls, water supplies, swimming pools, roads, bridges and parks spring up across Queensland. The forms these projects took were many and varied and it would be misleading to suggest they all reflected an Art Deco style. As the following examples illustrate, however, it is true to say that a number of significant Art Deco landmarks took shape in Queensland as a direct result of Forgan Smith’s Depression-era policies. The University of Queensland’s Forgan Smith Building – named after the man himself – was announced as one of the Queensland Government’s three major construction projects aimed at generating employment, the others being the Story Bridge and the Stanley River Dam. Designed by Hennessey, Hennessy and Co., construction of the Forgan Smith Building was delayed due to the onset of World War Two and 12 long years ensued between the laying of the foundation stone and the opening in 1949. 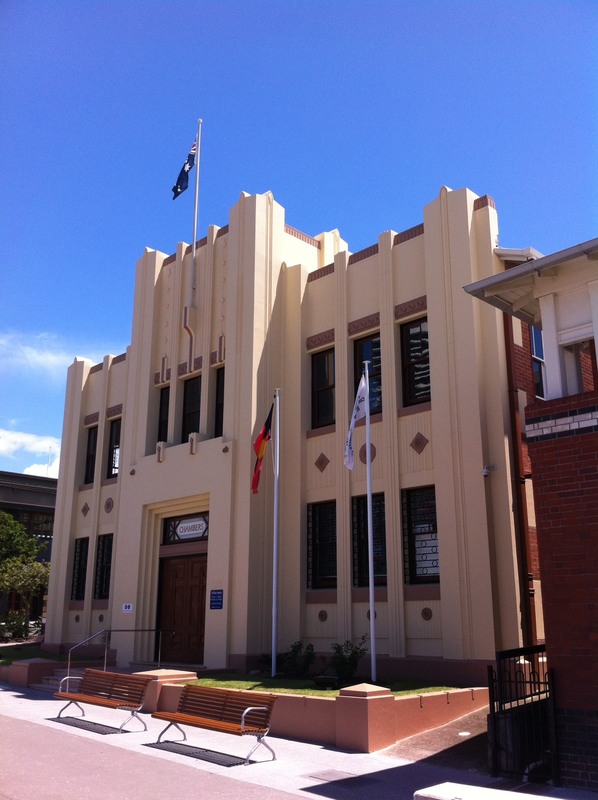 Southport Town Hall was completed in 1935 with a state government employment relief loan granted to local council. The building was designed by prolific Art Deco architects, Hall and Phillips, and signified part of a larger beautification trend in coastal towns vying for the holiday market. Gayndah Shire Hall was another civic building that opened in 1935, also designed by Hall and Phillips on the back of an employment relief loan. As well as triggering the development of the shire hall, the Depression purportedly compromised the final quality of the building due to a shortage of materials and the sub-standard construction skills of day labourers. Innisfail’s Johnstone Shire Hall was partially funded by the Treasury Department on the condition that the unemployed, day labourers and contract workers were used for construction. Designed by North Queensland architects Hill and Taylor, and built under the direction of the Van Leeuwen Bros, the project took three years to complete from its inception in 1935 due to cost blowouts, council turnover and state government intervention. The Innisfail Water Tower was an earlier construction project led by the Van Leeuwen Bros in 1933-1934. It was funded by the Lands Department as part of a relief scheme which employed 525 men on town water projects across 14 regions. The administrators of the scheme made a deliberate effort to produce structures of aesthetic appeal, in the Innisfail instance achieving this through the adoption of Art Deco styling. As Queensland emerged from economic recession, local councils continued to invest in town halls as a symbol of prosperity, civic pride and confidence in a bright future. Modern architecture – epitomised by the Art Deco aesthetic – came to evoke the modern idea of “progress” as a welcome antidote to years of hardship. The state government remained supportive of these civic developments by awarding loans and subsidies through the 1930s. Goondiwindi Civic Centre and Murgon Civic Centre, both completed in 1938, are leading examples of this post-Depression architectural trend. 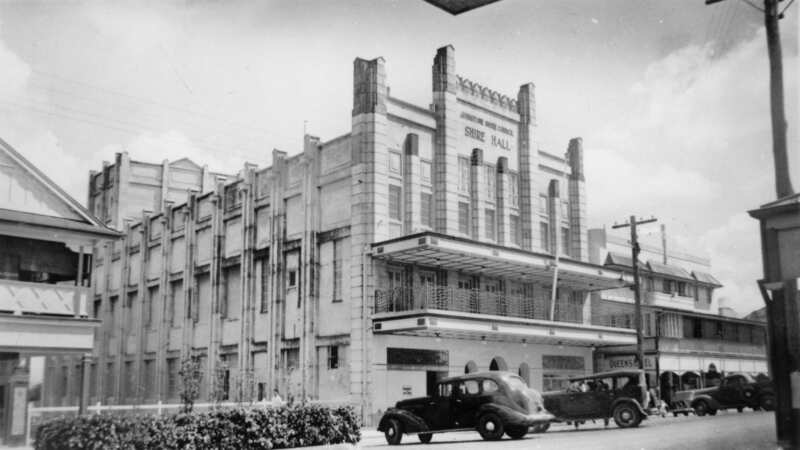 While the early 1930s were dire for many in the building industry, Depression conditions also precipitated the commercial development of some notable Queensland Art Deco landmarks. 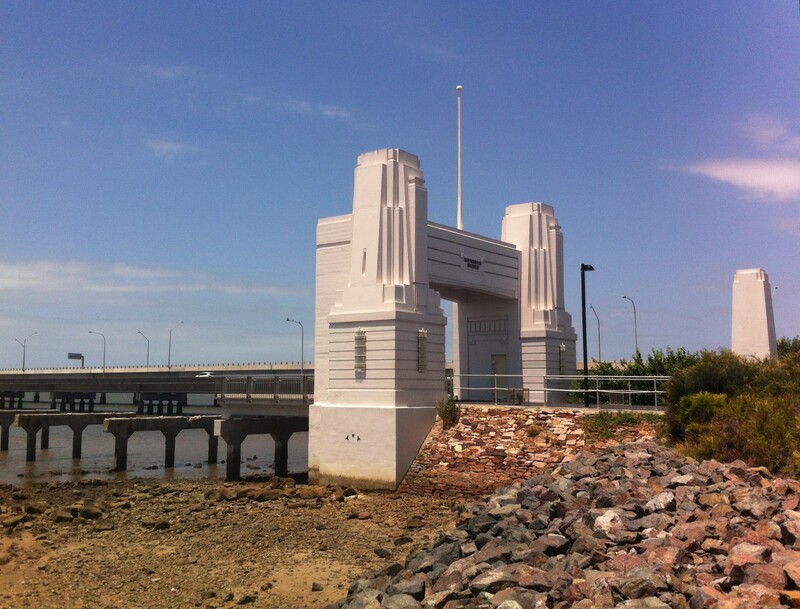 A prime example is the Hornibrook Highway bridge constructed between 1932 and 1935 as a private toll road connecting Brisbane and Redcliffe. As well as serving a community need, the project was undertaken to keep Manuel Hornibrook’s building business afloat. When Hornibrook faced difficulty raising sufficient funds to complete the structure, the Forgan Smith Government stepped in as guarantor on a loan, recognising the vital contribution of the project to providing employment for 500 men. In a less direct way, the Depression and its aftermath also contributed to the burgeoning of Art Deco cinemas in Brisbane. During this period people sought entertainment locally rather than travelling to the city centre. This created a renewed focus on suburban cinemas, with developers looking for a simpler style that was cheaper to build than the more ornate 1920s picture palaces. 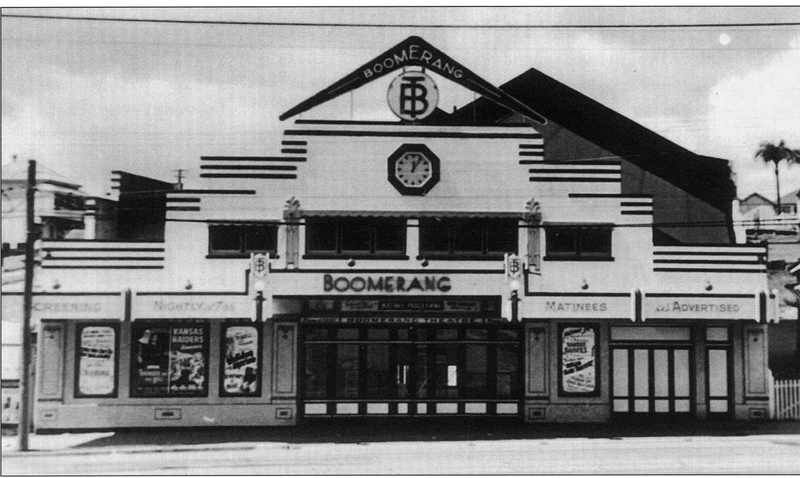 A streamlined aesthetic fitted the bill, leading to a boom in Art Deco cinema remodelling as seen in the Boomerang Theatre (1933) in Annerley and the Savoy Theatre (1937) in Clayfield (both now demolished). The years immediately following the Depression saw further growth in commercial building, with an upsurge in apartment construction in inner-city Brisbane. Newspapers speculated that the sudden popularity of apartment living among the middle classes was a sign of the economic times: birth rates had fallen as people adjusted to economic constraints and more people sought to rent rather than buy in a period of uncertain employment. Concomitantly, investors were looking for profitable, cost-effective building ventures at a time when government securities and bank fixed deposits were yielding marginal returns. With land prices remaining modest compared with pre-Depression figures and housing shortages becoming increasingly apparent, investors sought to fill a gap in the market through apartment developments. These buildings were an important way that the Art Deco style gained popularity in Queensland. Examples such as Coronet Court (1933) in New Farm, Bulolo Flats (1934) in the Valley and Carmel Court in South Brisbane (1937) exuded a new, modern aesthetic for a new, modern lifestyle. So … was the Depression good for Art Deco? We can never know what would have been, had the Depression not befallen western economies. Perhaps Art Deco would have gained a stronger foothold in Queensland had the 1930s been a decade of prosperity. Avoiding the perils of speculation, however, and instead taking the period for what it was – a time of recession and hardship – an argument can be mounted that the particular conditions experienced in Queensland gave rise to some important Art Deco landmarks, contributing to the spread of the modern style. 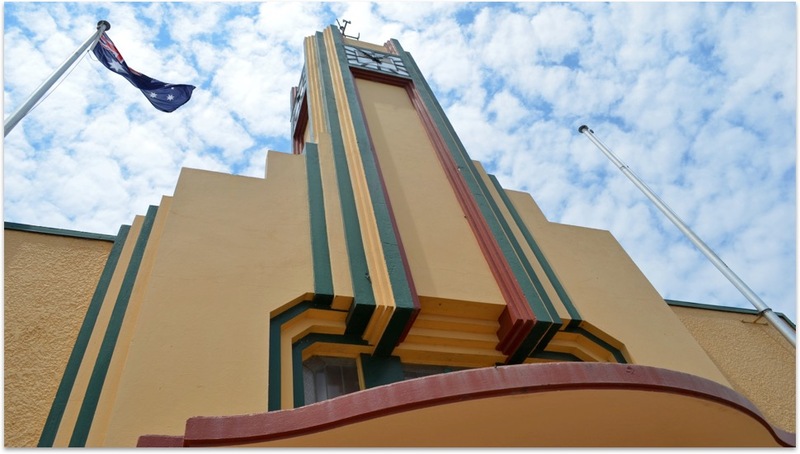 Without efforts to boost local industry in the face of unemployment, Queensland’s encounter with Art Deco would, in all probability, have been a diminished one. Newspaper headline, The Arrow (Sydney), 3 July 1931, p.5. Via Trove, National Library of Australia. 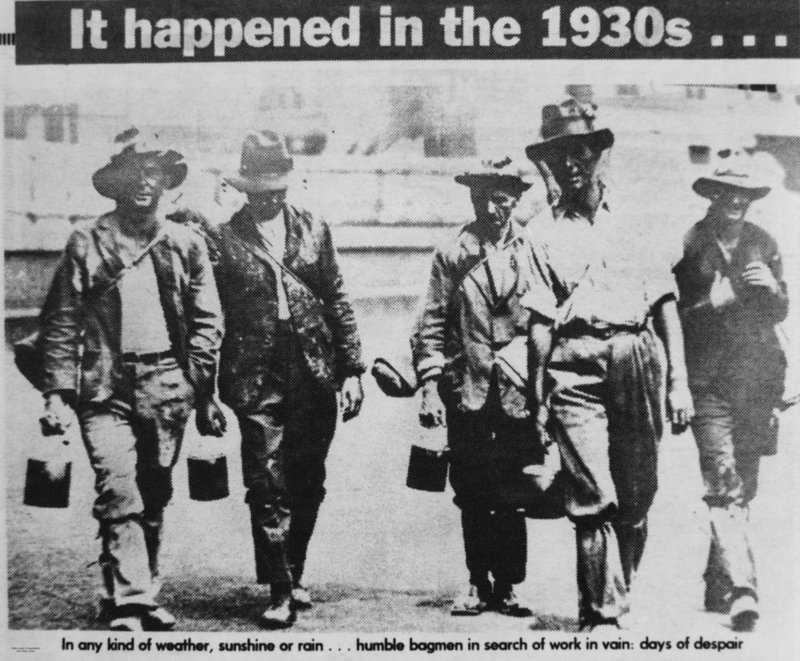 Unemployed men searching for work in Queensland during the Depression, ca.1932. Courtesy of State Library of Queensland. William Forgan Smith, ca.1933. Courtesy of Queensland State Archives. Newspaper headlines, Daily Standard (Brisbane), 28 May 1932, p.1. Via Trove, National Library of Australia. 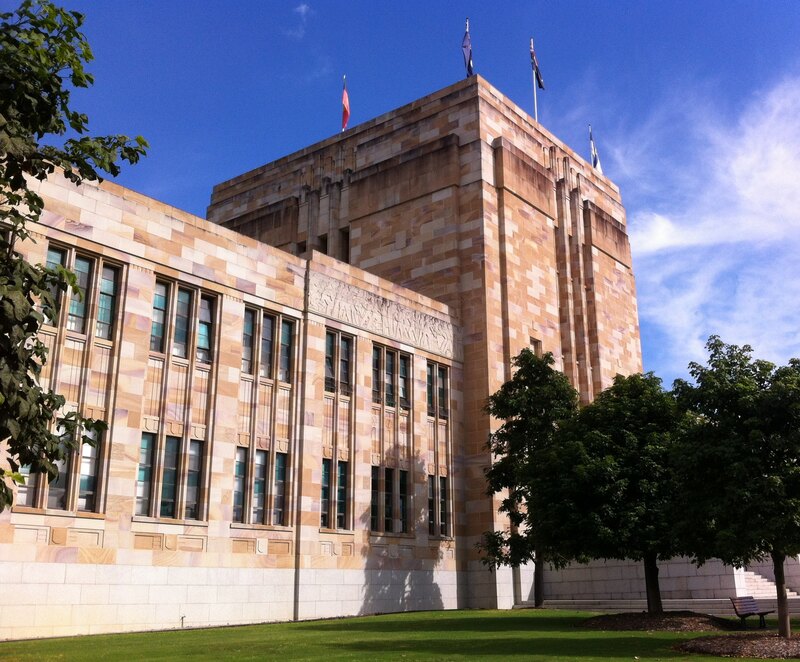 Forgan Smith Building, The University of Queensland, 2015. Photo by Queensland Deco Project. Southport Town Hall, 2015. Photo by Queensland Deco Project. 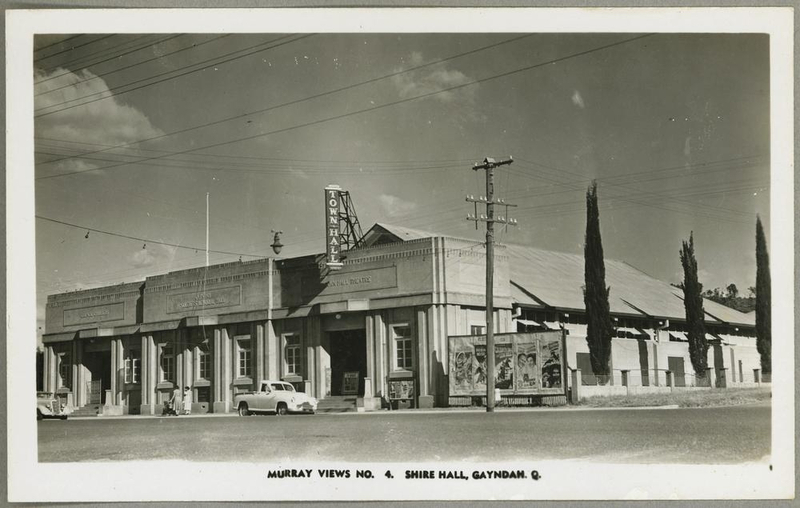 Shire Hall at Gayndah beside the Town Hall Theatre, ca.1950. Courtesy of State Library of Queensland. Johnstone Shire Hall, Rankin Street, Innisfail, 1947. Courtesy of State Library of Queensland. 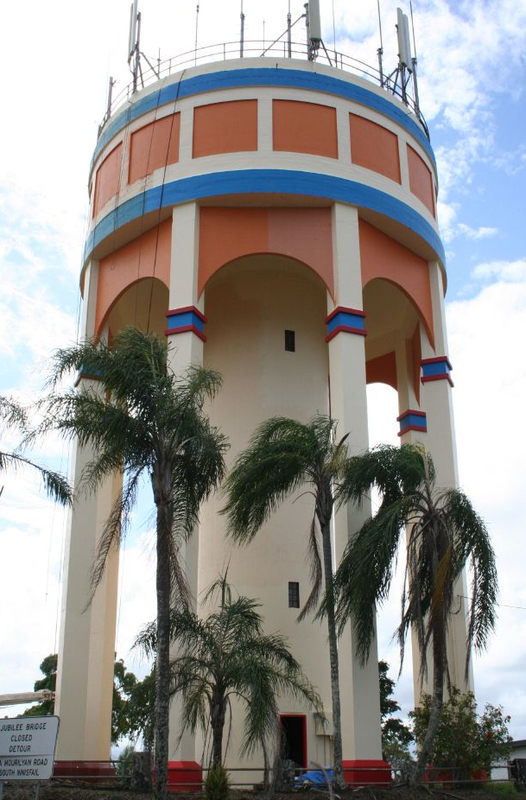 Innisfail Water Tower, 2010. Courtesy of Queensland Heritage Register. Goondiwindi Civic Centre, 2012. Courtesy of Mark, Flickr. 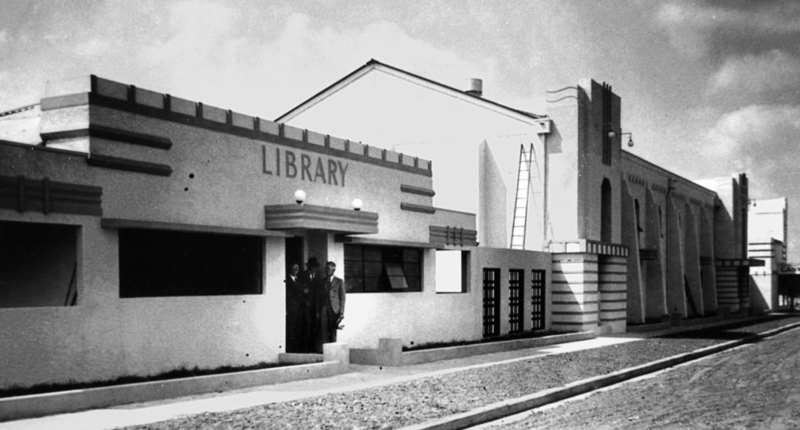 Murgon’s new public library (part of civic centre), 1938. Courtesy of State Library of Queensland. Hornibrook Highway bridge, 2015. Photo by Queensland Deco Project. 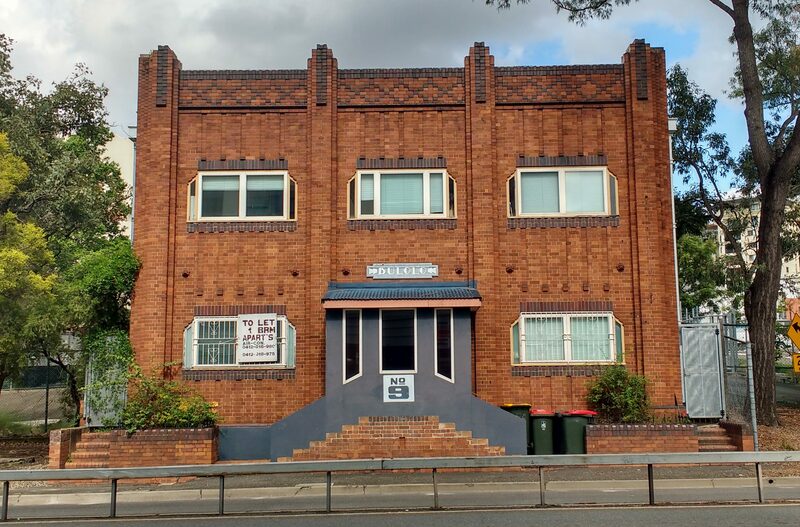 Boomerang Theatre, Annerley. Courtesy of National Trust. Savoy Theatre foyer, Clayfield. The Telegraph (Brisbane), 30 August 1937. Via Trove, National Library of Australia. Coronet Court, New Farm, 2014. Photo by Queensland Deco Project. Bulolo Flats, New Farm, 2016. Photo by Queensland Deco Project. Black, Carmel. “Depression Era.” Queensland Historical Atlas. 2010. “Boom in Modern Flats: House Shortage in Brisbane.” The Courier-Mail (Brisbane). 10 August 1934, p.21. “Building and Home Section: Flat Vogue Grows: Brisbane Follows Overseas Fashion.” The Telegraph (Brisbane). 24 October 1933, p.17. Costar, B.J. “Smith, William Forgan (Bill) (1887-1953).” Australian Dictionary of Biography. Volume 11, 1988. Queensland Heritage Council. Time and Place: Queensland’s Cultural Heritage Newsletter. Issue 13, August 2006. Various entries, Queensland Heritage Register. Department of the Environment and Heritage Protection.